Matrix Martial Arts Raises Intelligence! It is a proven fact that Matrix Martial Arts raises IQ. It is a proven fact that when one matrixes his art, be it shotokan or aikido or that rare form of wudan Tai chi chuan, the art becomes better, and the person becomes more intuitive, and his intelligence goes up. What is not so obvious is why this is so. Intelligence is measured in institutions through various tests. What these tests do, however, is tell you how full your memory is. What these tests do is evaluate how good your memory is. Thus, current testing is checking how much you can remember, and it has nothing to do with true intelligence. Current testing does nothing more than verify that the memorization programming of schools is working. To understand the significance of this we must define what true intelligence is. True intelligence is how fast your mind works. There are other factors, to be sure, but this is the main one. This doesn’t evaluate how big or good your memory is, but how fast you can respond to data. In the martial arts the student is taught by having him or her memorize strings of random data. Or memorize random strings of data, however you want to put it. The hope is that if you have a big enough memory then you can pull a trick out of the hat, and hopefully it is the right trick. When you matrix the martial arts you make the data logical and easy to retain, no more random data, or random strings of data. Thus, you use less memory, and the data is filed properly for easy extraction and use. Thus, you have no attention on the data, the missing data and the gaps and holes and wrong arrangements of data, and intuition can kick in. Intuition means that the data being extracted for use is being extracted instantly. Furthermore, and here is a blessing, it is never the incorrect data. Thus, the true speed of the martial arts, as represented by intuition, is in effect, and thus the students intelligence is raised. Now, it doesn’t matter what form of kung fu you practice, or what style of karate, all that matters is that you take the time to rearrange the data by matrixing it thoroughly. When you use matrix martial arts as a template, you see, it is nothing more than putting the book on the bookshelf. The trick here is that we are putting all the books on the bookshelf, in the right order, at the same time, and that is certainly measurable as an increase in intelligence. 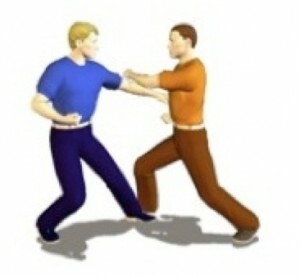 Did you know that Matrixing is brand new, never been known in the martial Arts? And what you have read here is just the tip of the iceberg. You can find out more at Monster Martial Arts.